Founded by Akshay Mehrotra and Ashish Goyal, EarlySalary is a mobile app which allows salaried individuals to avail instant loans for an average tenure of 30 days or till the next salary cycle. These loans are similar to salary advances or credit card cash withdrawals, empowering consumers with ready cash when it is most needed. The company conducts prudent risk assessment by leveraging social profiling to go beyond financial underwriting and IndiaStack. Initially operating in 8 metros, EarlySalary is now catering to working professionals in 15 cities across India and seen over 1.4 million customer downloads. The company has been working on introducing multiple products, line of credit functionality, EMIs and other products focused towards helping young working professions with credit needs. Akshay Mehrotra, CEO: Previously served as the Chief Marketing Officer at Big Bazaar, Future Retail Limited. Also worked as CMO at PolicyBazaar.com and Marketing Head at Bajaj Allianz Life Insurance. Ashish Goyal, CFO: A chartered accountant by education and previously served as the Chief Investment Officer at Bajaj Allianz General Insurance. Vimal Saboo, CBO: Previously served as the Business Head of Edelweiss Capital and also served in senior roles at Axis Bank. Vivek Jain, CTO: Previously served as the Principal Technology Architect at Infosys. 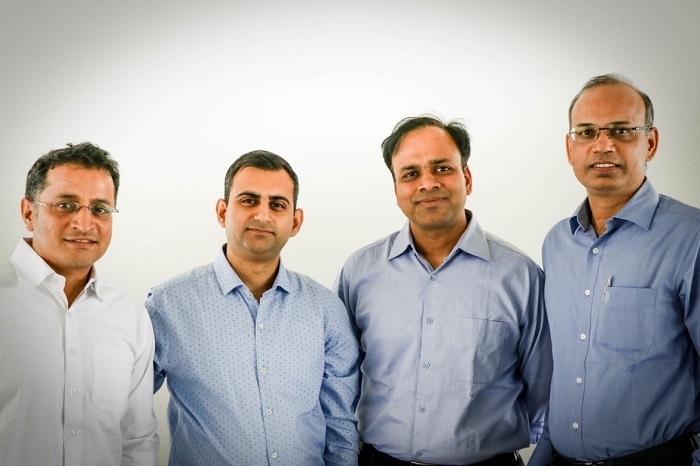 Eight Roads Ventures India (ERVI) is the proprietary investment arm of Fidelity International Limited (FIL). ERVI seeks to invest in high-quality, high-growth companies in India across a broad range of sectors. ERVI is committed to making the companies it invests in leaders in their industries through access to patient capital with a long-term investment mindset, a powerful network of resources and a team of investment professionals with a proven track record of success. Some recent investments by Eight Roads in the financial services and fintech domain include IFMR Capital, Akulaku, BankBazaar, China PnR, Paidy and Greenlight Planet, amongst others.